What if the terrifying legacy of Jack the Ripper and Robert Louis Stevenson’s Dr. Jekyll and Mr. Hyde were connected and somehow transported across space and time from Victorian England to present day California? The consequences would be terrifying. Robert Masello, an award-winning journalist, television writer, and the bestselling author of numerous supernatural and historical thrillers that includes The Einstein Prophecy tackles this innovative and thought provoking historical whodunit in his new book The Jekyll Revelation. Protagonist Rafael Salazar, an environmental scientist on routine patrol in Topanga Canyon, California, expects to find animal poachers but instead discovers a mysterious antique steamer trunk filled with a treasure trove of artifacts that includes a puzzling journal, written by none other than legendary author Robert Louis Stevenson. The journal cryptically reveals chilling details regarding the creation of his classic horror novel The Strange Case of Dr. Jekyll and Mr. Hyde and an even more disturbing link to one of the most notorious serial killers of all-time. Within the pages of this mysterious journal is disclosed the true identity of Jack the Ripper. The journal, unfortunately, wasn’t the only artifact in the trunk, and isn’t the only memento that has been pilfered. A bottle that purportedly contains the last drops of the potion that inspired Jekyll and Hyde and also created London’s most infamous killer has disappeared and fallen into the wrong hands. 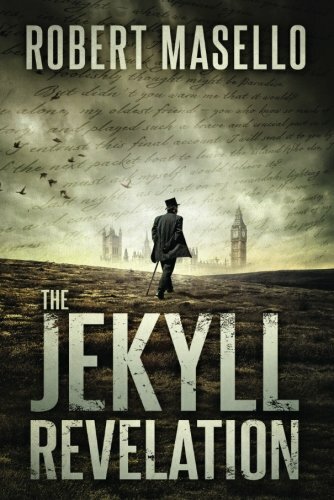 With parallel story lines set in present day California and 1880s London, The Jekyll Revelation masterfully alternates between reluctant hero’s Salazar and Stevenson as both attempt to stop the terror that has been unleased within their respective time periods. Masello has done an admirable job of creating recognizable characters, although they tend to be somewhat formulaic. He sticks with the standard literary storyline of man playing God and its catastrophic fallout. The Jekyll Revelation is a fast-paced tour de force through history and contemporary California. It is a heart-pounding page turner filled with loads of action and intrigue. Masello has crafted an exceptional murder mystery with a literary twist that will not disappoint. This novel will most certainly captivate anyone who loves true crime, suspense thrillers, literary history, Robert Louis Stevenson, or Jack the Ripper. A must read and highly recommended.